As a nation, we’re potty about our pets. Once only kept for food, rabbits are now a pretty popular pet in the US. Unlike cats and dogs, rabbits need their own purpose-built accommodation, ideally with outside space, where they can live a long and happy life, safe from predators. 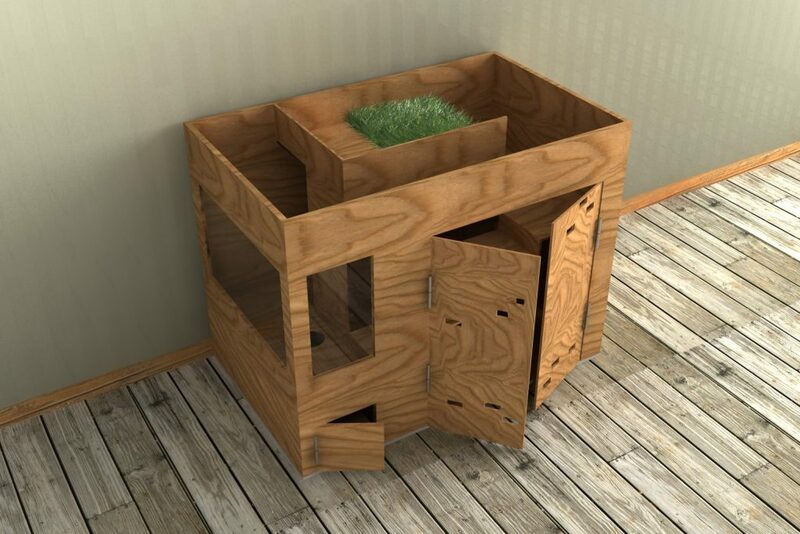 OK, so this is just essentially a rabbit hutch with some plants on top, but doesn’t it look great? 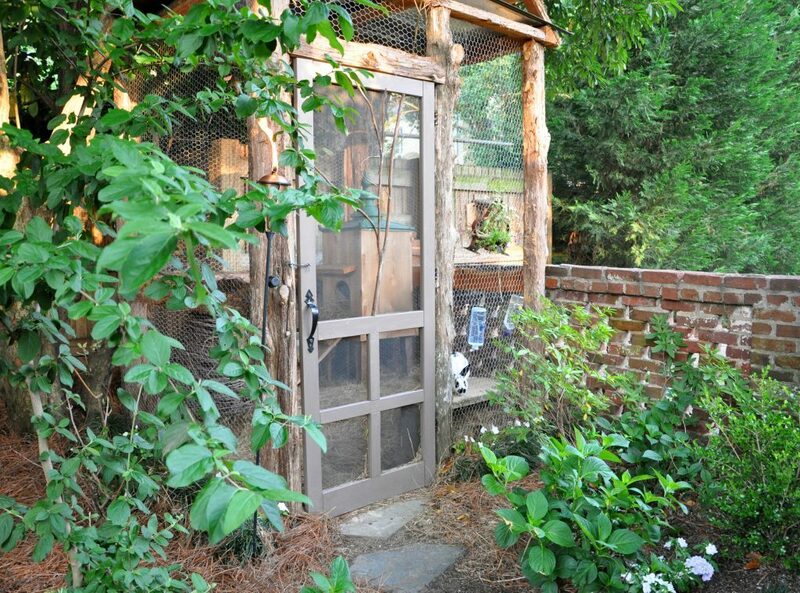 For smaller gardens, this gives you a great place to grow your veggies, out of the way of a hungry rabbit. Ever dreamed of living in a manor house? Well, for your bunnies at least, you might be able to make this become a reality, by purchasing ‘Bunny Manor’ for your furry friends. We think this is big enough for us to move into! If you’re after space for your bunnies, this is certainly the hutch for you. It even has a bunny staircase. We suspect that if there were a nuclear war, the bunnies in Bunny Bunker may be one of the few survivors. Offering a fully insulated sleeping area with 35mm thick walls and a nice shaded run, this is starting to make us wish that we were bunnies! There’s something so quaint-looking about this rabbit hutch. We think that the curved walls make it look a bit like something out of The Hobbit! 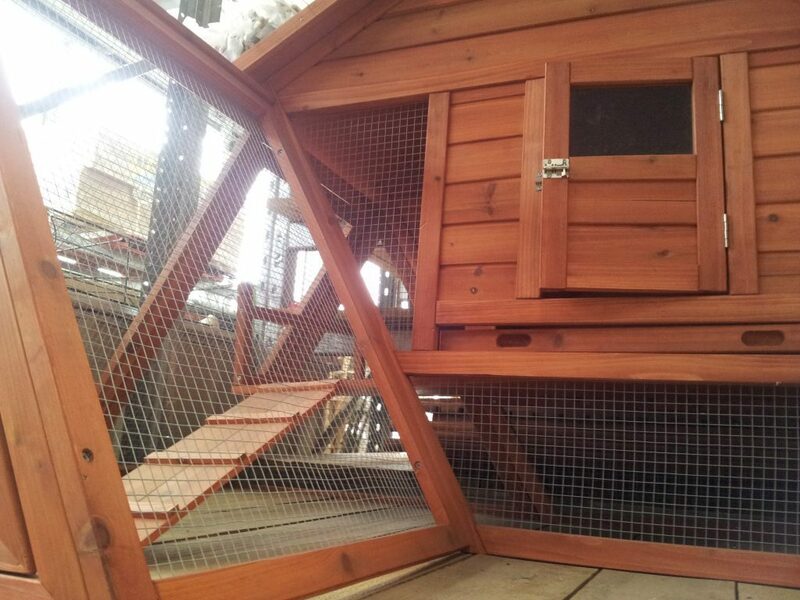 Definitely one at the pricier end of the rabbit-hutch scale…but it does look great (and the rabbits look happy). After you’ve spent all that money on your rabbit hutch, the last thing you want is for it to rot. That’s why it’s important to protect your hutch. 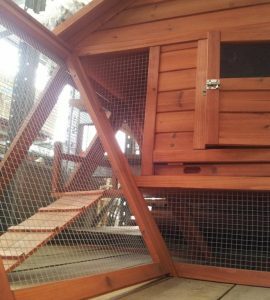 If you like the natural look of the wood, you could go for Textrol for the outside of your rabbit hutch, our single-coat saturating oil finish with enhanced UV protection. It’s luxurious matte-sheen finish will enhance the grain and natural beauty of the wood. It won’t peel or flake, as it doesn’t form a film. Even better, maintenance is minimal, with maintenance coats probably only needing to be applied once every couple of years and with no sanding or stripping required. Alternatively, why not paint the outside of your rabbit hutch to really make a style statement? Solid Color Stain comes in 35 different shades and is guaranteed on bare wood for 15 years on vertical surfaces. Obviously, make sure that you allow time for the paint and wood oil to dry before putting your bunnies back into their hutch. And only ever paint and protect the outside of your hutch, not the inside! Have you got an unusual rabbit hutch for your furry friends? Send us some pics – we’d love to take a peek!